Austria’s capital, Vienna, is also home to its largest airport, the aptly named Vienna International Airport. Though Austria is marginally less expensive than other European countries, it’s $60+ a day price tag still makes it among the most expensive countries to travel in. Austria doesn’t really experience a peak tourist season, though there are small bumps around major Christian holidays and during late summer. This is surprising, since weather in Austria changes considerably throughout the year. During winter, temperatures are typically between -5 and 2˚C (25-35˚F). Meanwhile, summers tend to sit between 15 and 25˚C (60-78˚F). Handmade clothing and crafts bought from street stalls exemplify the classic Austrian souvenirs. 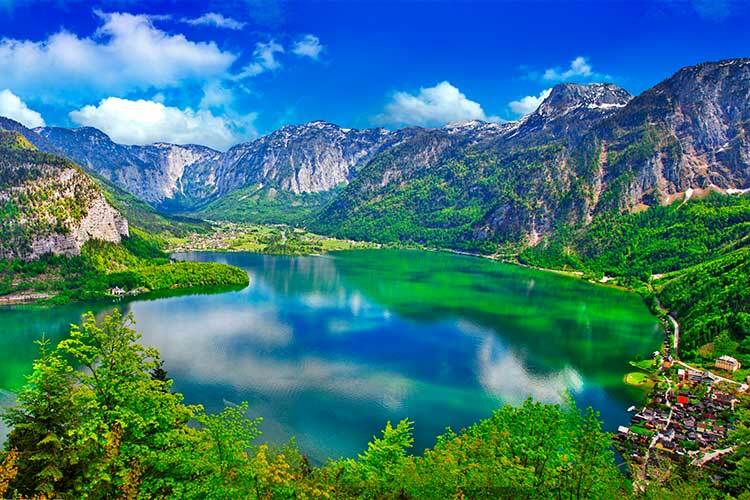 The landlocked country of Austria is one of the world’s most idyllic travel destinations. Besides the remarkable mountains which dominate most of the country’s landscapes, Austria also features a distinct culture and intriguing history. With such great amenities, it’s not surprising that tourism makes up almost 10% of the Austrian economy. Almost 20 million people visit Austria each year, making it the 8th most visited in country in Europe as of 2015. Most travelers come to either Vienna or Salzburg, but there’s lot of adventure to be had in the Austrian countryside as well. Like much of Europe, Austria was originally inhabited by tribespeople (in the case of Austria, the Celts) who were displaced by the Romans. The Romans used the area for military and agricultural purposes for nearly 400 years, but lost control of the region with the splitting of the Roman Empire. The area was again taken by various tribes, this time the Slavs, Bavarians and Avars. However, the area was conquered by Charlemagne in 788 CE, who introduced Christianity to Austria. It wouldn’t be until the 14th century that the first unified Austrian government came together, under the rule of the Hapsburg dynasty. During this period, Austria was a part of the Holy Roman Empire, which featured exclusively Hapsburg rules (except one) until its dissolution. This period was marked by warfare with the Ottomans in Hungary. By 1699, Austria had come to control all of neighbouring Hungary, though it lost much of this land within a few years. In 1814, Austria had the honour of hosting the Congress of Vienna, who dissolved the Holy Roman Empire and settled issues from the Napoleonic Wars and French Revolution. This meeting propelled Austria to the forefront of global geopolitics. Austria managed to assert its independence from Germany, as well as take control over Hungary. However, the Austro-Hungarian Empire came to a swift end with the assignation of Franz Ferdinand, which began WWI. Austria was hit quite hard by the war, resulting in political and economic instability. This was heightened when Austria passed into the hands of the League of Nations after a bankruptcy scare. During WWII, the Nazi party took control of Austria, and in 1938 it was declared a part of Germany. After the war, Austria was initially split by Allied powers, with a large rift between the Soviet controlled areas and the American areas. In 1955, Austria received full independence, as well as declaring its permanent neutrality. Since then, the country has played a prominent rule in the UN and the EU as a parliamentary democracy. 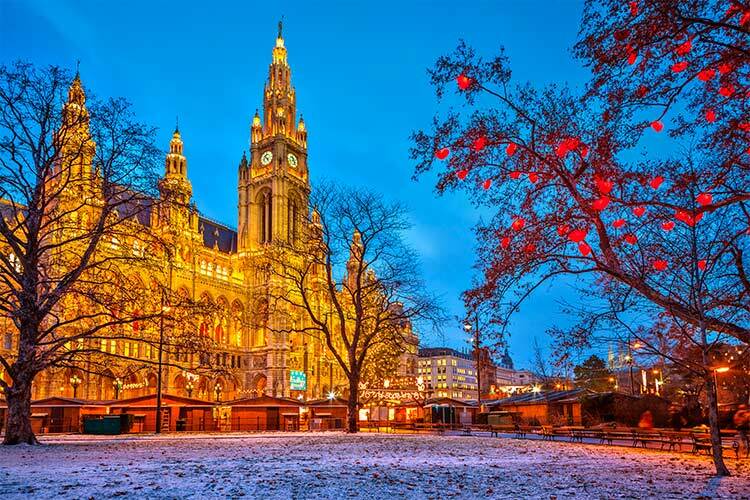 Between its beauty, history and general atmosphere, it’s hard to imagine a city that’s better suited for travelers than Vienna. The central old city, or Innere Stadt, has been declared a UNESCO world heritage site for its plethora of famous buildings. St. Stephen’s Cathedral and the famous Kunsthistorisches Museum are both found in this area. Another popular Viennese site is the massive Schönbrunn Palace, located outside the city. 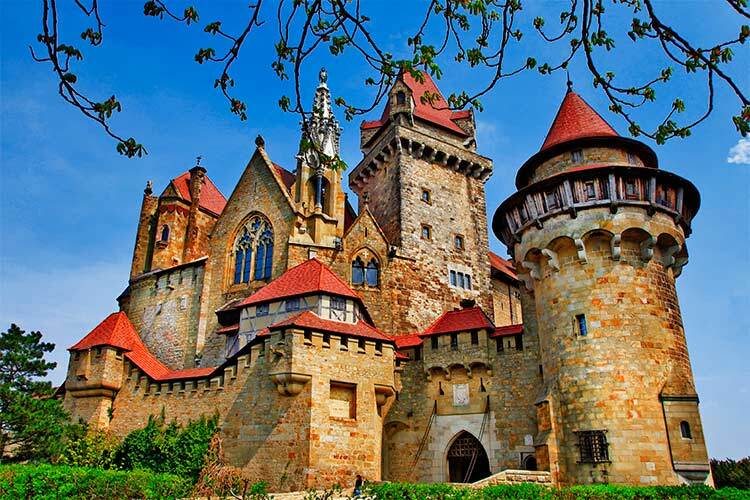 This enormous palace was the summer home of the Hapsburg dynasty and features expansive gardens. Vienna is also famous for its role in classical music. Legendary composers like Beethoven, Schoenberg and Mozart have all resided in the city, and today numerous tours exist that take travelers to through their homes and places of work. Similar tours exist for other famous Viennese citizens, including Sigmund Freud and Marie Antoinette, are also commonly available. 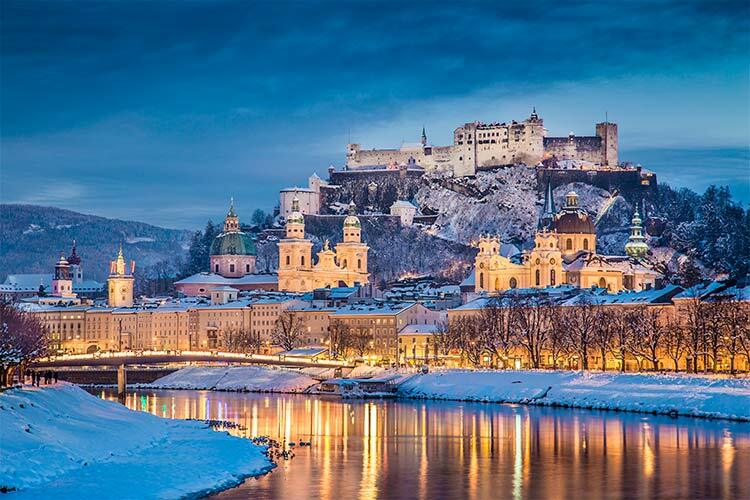 The city of Salzburg is an extremely popular tourist destination. Many travelers wish to see its famous old city, which features dozens of Baroque era structures. Probably the most famous of these is the summer palace of Schloss Hellbrunn. This lavish residence is mostly known for its elaborate gardens and intricate fountain system. Salzburg sits on the picturesque Salzach River, which can best be viewed from nearby area like Getreidegasse. This winding street is known for its numerous artisans and antiquated atmosphere. Another interesting attraction in Salzburg is the salt mines, for which the city is named. Besides their historical and economic importance, the salt mines are also surprisingly beautiful. You can ride in mine carts or even use a slide to descend to lower levels of the mine. Considering its mountainous topography, it’s hardly surprising that skiing is one of the most popular tourist activities. One of the most popular skiing destinations in Austria is St. Anton am Arlberg, found in the Tyrolean Alps. Like any good travel destination, reaching St. Anton can be just as much of an adventure as the skiing itself. We recommend flying into Zurich, then taking the famous Orient Express through the valley to St. Anton. Besides skiing, St. Anton is also a good location for hiking, mountaineering and other outdoors activities. 1) Wander the streets of old Vienna, or the Innere Stadt, and you can glimpse famous structure’s like St. Stephen’s Cathedral and the Kunsthistorisches Museum. Vienna is also the home of the Austrian national government buildings, including the current Austrian Parliament building and the antiquated Schönbrunn Palace. Furthermore, explore the homes and birthplaces of famous Viennese citizens. 2) While in Salzburg, be sure to see the historic buildings in the old city, particularly the palace Schloss Hellbrunn. Then, head to the river to do some shopping or simply enjoy the scenery. Salzburg is also the birthplace of Mozart, which makes for a fascinating trip if you’re into classical music. If you’re up for a day trip, take an excursion out to the salt mines. 3) The picturesque town of Hallstatt sits next to Lake Hallstatt and is most famous for its Baroque era architecture. This peaceful town is best explored on foot, but it’s also encouraged to charter a boat to explore the region. Hallstatt is also a great location for hiking, fishing and exploring the great Austrian outdoors. 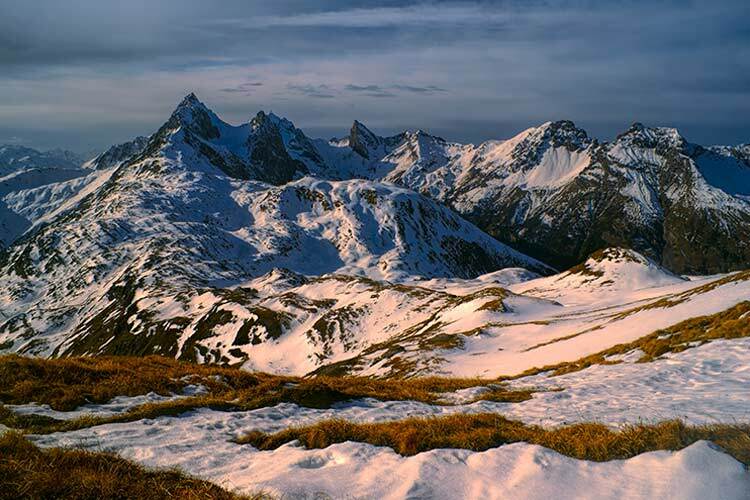 4) The largest national park in Austria is Hohe Tauern. This gorgeous alpine park centres around Austria’s largest mountain, Grossglockner. Furthermore, travelers come to see the peak of Grossvenediger, which is completely surrounded by glaciers. 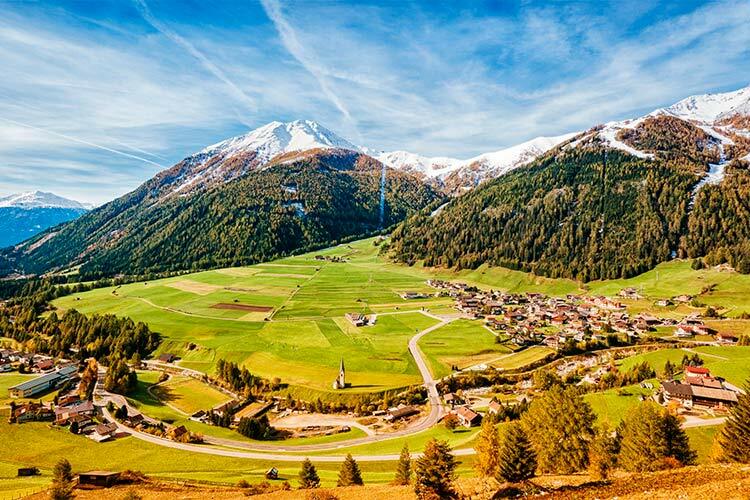 While here, be sure to drive on the famous Grossglockner High Alpine Road, which is often rated as one of the world’s most attractive motorways. 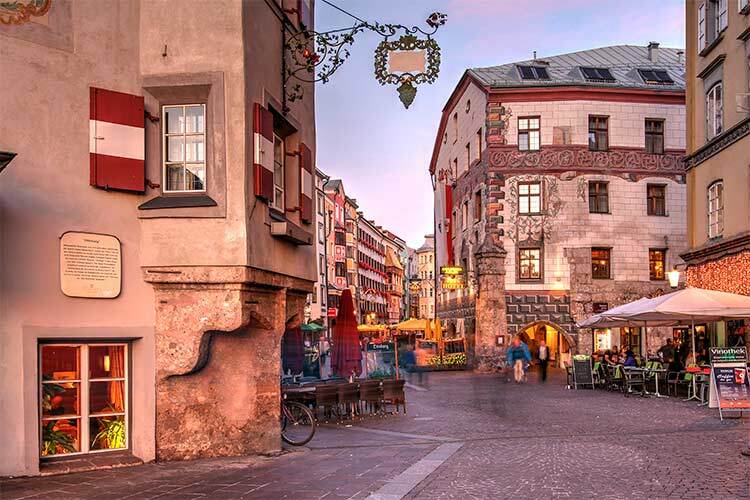 5) Although Innsbruck (pictured below) is most famous for twice hosting the Winter Olympics, there’s lots to do there besides winter sports. For instance, the castle Schloss Ambras is worth seeing. Travelers also should head out of town to Nordpark, a lovely natural area known for its mountain biking. 6) Seefeld is a small valley town found near Innsbruck. While Seefeld has some historic sites like the castle ruins of Schlossberg, most travelers visit Seefeld during the winter for skiing and snowboarding. However, hiking, biking and other outdoors activities are also popular reasons to travel to Seefeld. 7) In St. Anton am Arlberg, be sure to do some skiing. This world class ski resort is considered one of the world’s best due to its plethora of slopes at different difficulty levels. The resort can be reached using the iconic Orient Express.